Food: Small molluscs, aquatic and terrestrial insects. 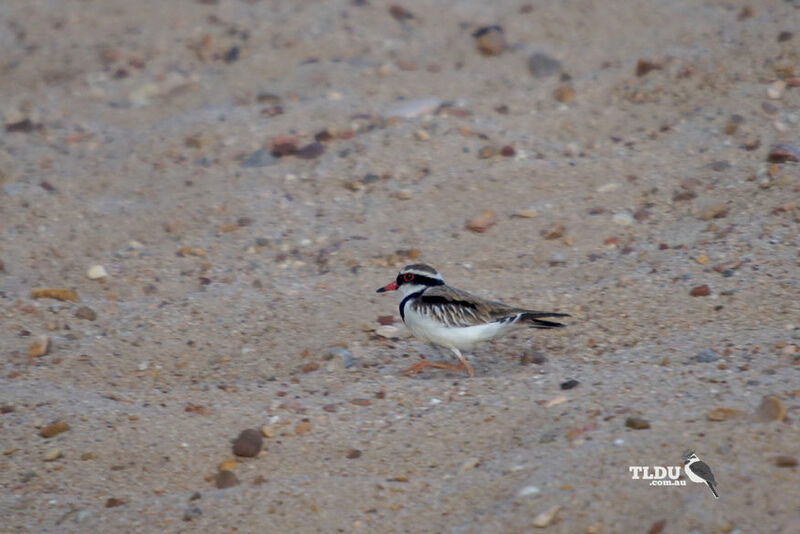 The Black-fronted Dotterel is a small wader with a distinctive black face-mask and breast-band and prominent chestnut scapulars (shoulder feathers). In juveniles, the breast-band is initially absent but a brown band slowly appears as the bird develops. Legs are pink orange, and the bill is red with a black tip. The dark eye is ringed with red. In flight the wings look broad and the tail short, while the black and white contrast is striking. Flight is slow with almost hesitant wing beats. This species is also called the Black-fronted Plover. The Black-fronted Dotterel is widespread throughout Australasia. 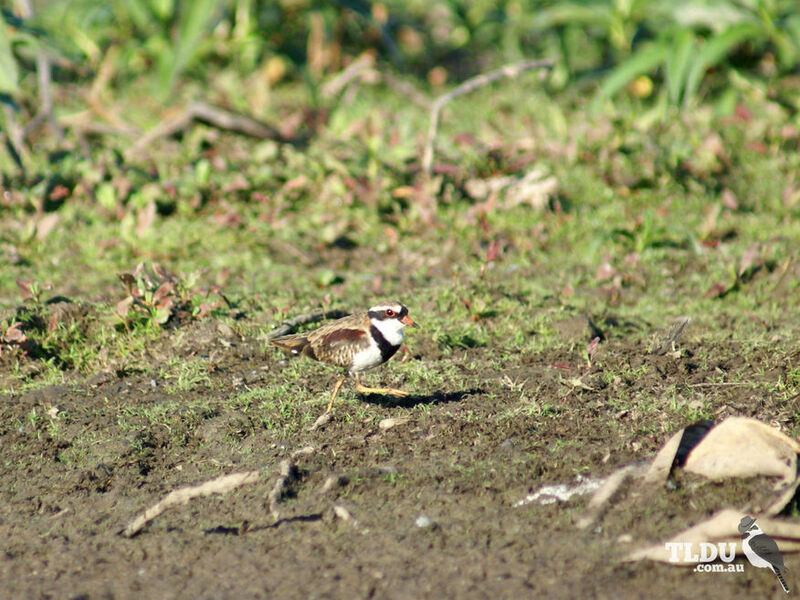 The Black-fronted Dotterel is found in the shallow margins of wetlands, lakes, rivers, sewage farms, storm drains and marshes. It is normally always near freshwater and is not often seen on the coast. 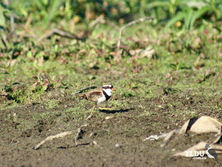 The Black-fronted Dotterel eats small molluscs as well as aquatic and terrestrial insects. When it forages, it keeps its body horizontal while bobbing its head to look for food, often running then stopping suddenly to peck at food items. The Black-fronted Dotterel lays its eggs in a shallow scrape, often on pebbly ground and quite close to water. It may have more then one brood per year. Both parents incubate the eggs and look after the young. The Black-fronted Dotterel is secure in Australia, though destruction of breeding sites may affect numbers.